Jesus praying in the Garden of Gethsemane gave us model examples of sorrow, fear, and prayer. This was a traumatic moment for our Savior. Christ was praying in preparation for his most severe trial. Please read Matthew 26:36-46 before starting GraspingGod.com's free Bible study lessons, #3.04. Previous lesson: Jesus' Last Supper #3.03. 1) Jesus gave us a perfect model of prayer. Why is prayer necessary? 2) What is godly sorrow and fear? 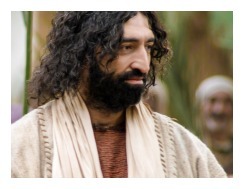 I became very saddened while researching about Jesus praying in the Garden of Gethsemane, for two reasons. First, people who don't receive forgiveness from God will suffer a terrible eternal existence. Secondly, my sins made Christ's death and punishment necessary. These things and more will be discussed. Jesus and the apostles departed Jesus' Last Supper and went up to the Mount of Olives together. Jesus explained lots of things to the disciples on the way (see John, chapters 14-16). Jesus also prayed his High Priestly prayer moments before entering the garden (John 17:1-26). By the time Jesus and his inner circle of disciples arrived in the garden it was approaching midnight. Jesus brought Peter, James, and John with him so they could all pray together about the coming events. By this time the disciples noticed Jesus becoming concerned about something. Jesus Christ's time had finally come (John 2:4) and he was about to experience the fullness of suffering and rejection, which were the ultimate ends of his earthly mission. His betrayer was approaching, the Roman guards were following, and the trials and crucifixion were looming. Jesus knew all this because he knew God's plan of redemption from the beginning to the end. There were no surprises that awaited Jesus. He had prepared himself throughout his earthly life for this moment in time. The footsteps were drawing nearer. Here was the fearful Son of God in sorrow - deep, deep sorrow. This wasn't some lifetime of chronic sorrow that Jesus was predestined to live from birth. Jesus wasn't a sad type of person. This was a godly sorrow welling up within Jesus about an upcoming action that was about to be unleashed on him. This was a fear, a dread of a coming punishment. Before we find out what Jesus was sorrowful about, let's take a look at what sorrow actually means. Sorrow is distress, grief and sadness due to affliction, loss or misfortune. At this particular moment in time, Jesus Christ was terribly sorrowful. But it wasn't sorrow caused by what you might think. Back to Gethsemane, where Jesus told Peter, James and John, “My soul is crushed with grief to the point of death. Stay here and keep watch with me.” Jesus' sorrow and agony were so intense he fell face down on the ground! The distress Jesus was under led him to experience symptoms of hematidrosis, in which blood capillaries burst because of emotional stress. 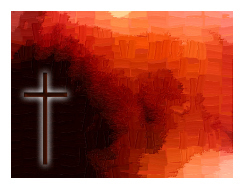 The blood mixes with sweat and pours out the sweat glands (Luke 22:44). Jesus was sweating blood because of what he would suffer! The disciples tried to support Jesus in prayer, but they found themselves dozing off to sleep. It was late, they had drunk some wine, eaten a full meal and experienced a very busy, exhausting day. They were also deeply sorrowful that they were going to lose their Lord Jesus, which also contributed to their sleepy condition (Luke 22:45). Jesus understood that they were willing to stand beside him and pray with him, but "the flesh was weak." Jesus was human, he understood and refrained from harshly rebuking them. Jesus also understood that his disciples didn't fully grasp his travails. Listen to Jesus praying in the garden, "My Father! If this cup cannot be taken away unless I drink it, your will be done." Jesus begged God to consider some other way to redeem mankind. What is "this cup" that Jesus is talking about with God? The cup was an Old Testament phrase that signified God's awful wrath upon sinful behavior (Jeremiah 25:15-16; 27-28, and Isaiah 51:17). Jesus was about to experience the divine wrath of God for all of the sins of the people who would trust in him for eternal life. Jesus Christ was about to become the sin-bearer for those who love him (2 Corinthians 5:21). All sins that you and I, and all other Christians, have ever committed were about to be applied to Jesus' account. The Lamb of God was about to pay a horrible price for our despicable, godless sins. Jesus was about to suffer for YOU, ME and ALL other believers (Hebrews 9:28). We all need to meditate on what we've done to Jesus. Jesus was fully human and the thought of the punishment for all of the sins of redeemed mankind terrified him. It wasn't the Jewish religious leaders' harsh treatment, nor the Roman soldiers' inhuman treatment of him that bothered him, believe it or not. Jesus once told his disciples, "Do not fear those who kill the body but cannot kill the soul." (Matthew 10:28). Jesus wasn't fearful of Judas' betrayal or illegal arrest. He didn't think twice about unfair trials provoked by religious hypocrites. The thought of a mocking crowd and beatings at the hands of Roman soldiers didn't concern him. Bone-tipped whips and cat-claw metal didn't bother him. Wearing a crown of thorns and a bloody robe was barely an after-thought. Hauling a heavy 200 pound cross through the streets of Jerusalem and up a hill to it's resting spot, failed to scare him. Nor did a humiliating death while hanging from a tree frighten him. Death had no bite, no sting, to the Son of God (1 Corinthians 15:55). Jesus, praying in the Garden of Gethsemane, was deeply grieved about one aspect of God's punishment. Jesus almost physically died from the thought of this one particular action by God the Father. Jesus' prayer reflected this approaching torment. "O, if there was some other way, God, please choose that way! Let this cup of wrath pass from me!" Jesus was begging. The wrath that was about to fall on Jesus was the worst possible punishment in which God could smite a soul. Jesus was about to receive this particular punishment for millions and millions of redeemed people. Jesus knew God's will had to be fulfilled. There would be no stopping the plan of redemption. This approaching punishment upon Jesus would save the souls of millions of people, which greatly pleased the Father (Isaiah 53:10). Jesus, praying in the Garden of Gethsemane, wanted God's will to be done more so than him escaping from this terrible agony. Jesus was dreading this moment of wrath to the point of death, but, he was on mission and would not let his Father down. This terrible act of fury upon Jesus, for the sins of redeemed mankind, was about to commence. Jesus was close to experiencing God's forsaking of him (Matthew 27:46). God was about to turn his face away from his Son, Jesus Christ. From all of eternity past, God was never disappointed or angry with his Son. The two had always enjoyed perfect harmony and fellowship together. The two were never separated. Jesus always pleased his Father. Jesus' life perfectly represented God, without a taint of sin upon him. Jesus did NOT deserve this wrath of God, but, he was about to experience it anyway. This plan of redemption designed by God, included a perfect human sacrifice, who gave his life for many. Jesus Christ came to be our Lamb of God. He desired to be our Messiah, our Savior, our Lord forever. His time was now. Jesus was about to enter hell - the outer darkness - while his Father forsook him. This was almost too much for Jesus to bear. The fear of losing his Father, for only a short time, pushed him to mental and spiritual anguish. Hell is where God the Father removes his presence (Matthew 8:12). The loss of the Father's presence is hell. It is a cold, dark, hopeless, terrifying place to find oneself. Jesus knew this and he knew he would be reunited with God, BUT even the thought of temporary hell left him in anguish! How much worse for those people who will be there forever?! (Matthew 25:12). My Friend, please, please understand how horrible hell is in reality. It's a hideous land with no Light, no Love, no Living Water, no Hope, no Kindness, no Patience, no Gentleness, no Protection and worst of all, no God. All good things are removed when God removes himself and his glory. Hell is hideous. Jesus knew it, feared it, and he was only a temporary visitor. Hell is outer darkness and Jesus was entering with the sins of all those who had died and would die, in Christ (Romans 5:8). Jesus' Cup of Wrath was unlike any other. He drank my cup when the Father forsook him. I pray he drank your cup, too. God unleashed his furious wrath saved for millions of believers upon one soul, who is Jesus. Jesus took the punishing wrath of an Almighty, Holy God in three days time. No words can describe the spiritual punishment Jesus experienced for you and me. We can't imagine the brutality that befell Jesus in hell. It should have been mine and yours. Jesus needed to pray for strength. 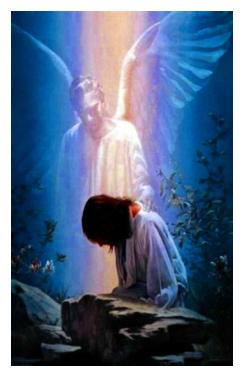 The Father sent some ministering angels to soothe and strengthen Jesus' soul. Jesus' praying in the Garden led to direct help from heaven in his time of need. Keep that thought in mind when you face your own horrible trials. God wants to see what or who you trust in during trials. Prayer is the ultimate act of humility in a person's life (Philippians 4:6). 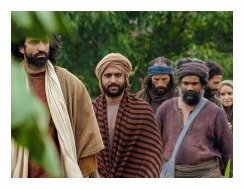 Jesus and his apostles then went to meet Judas and the Roman soldiers. Jesus, praying in the Garden, received the help he needed. The Lamb of God was mentally, physically, and spiritually prepared for the imminent slaughter. Jesus was soon to experience total rejection by man, but that was nothing compared to what he would suffer from God. The terrible fear that gripped Jesus in the Garden was because God would soon forsake him. Jesus wasn't concerned about his physical punishment - he feared the spiritual punishment - God's fury upon his soul. Jesus, on the cross, would suffer more than any human has or will suffer. The full wrath of God was upon him. Our lives should not be lived in fear of mankind's rejection, persecution, disease, financial failure, or loss of job and livelihood. Our lives should respect God's wrath by totally fearing hell and the Father's eternal absence. Every person who doesn't follow Jesus Christ should be terrified of God's wrath. Once a person enters into hell, God's grace, fellowship and blessings are no longer available. His presence will be gone. His kindness and patience will be gone. All good things and good people will be gone. Finally, and most sadly, the person's hope will be gone forever. Jesus couldn't handle the thought of living without God, even for three days! Learn from him! How foolish for a person to refuse to come to God and suffer an eternity without God! Torment, demons, suffering and hell await those stubborn, proud souls who refuse salvation through Jesus Christ. Please, I beg you, turn from your self-centered life toward God (2 Corinthians 5:20). Turn from sin and accept Jesus Christ as your Savior and Lord (Romans 6:23). Ask Jesus to become one of his beloved, forgiven disciples. Next lesson: Judas' Kiss #3.05. 1) Jesus, even though fully God and fully human, depended upon prayer to communicate with his Father. Why do you think prayer is always one of the disciplines we seem to neglect? 2) Why do humans fear physical pain and suffering, but fail to give eternal pain, suffering, and hopelessness little thought? 3) Eternal separation from God is the worst kind of suffering. It is a complete rejection and abandonment by God. 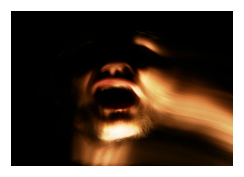 Is turning to God in fear of hell enough for him to forgive a person's sins? After sharing this Bible study lesson on Facebook or Twitter below download your FREE printable Bible Study Lessons (pdf version): Jesus Praying In The Garden, Lesson 3.04. Please Donate To GG.com! Special Note: I'm grateful to Big Book Media & Free Bible Images, Stock Exchange, Morgue Files, and Stock Photos For Free for the use of their photos for Jesus Praying In The Garden Bible study lesson.